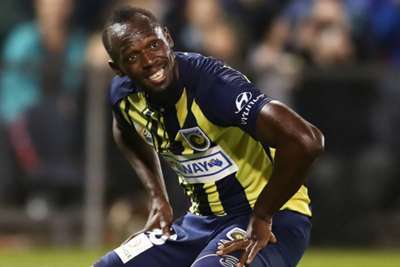 Central Coast Mariners boss Mike Mulvey insists he knows nothing about a contract offer made to Usain Bolt. The former athletics star's management confirmed to Omnisport on Sunday that they had received an offer from the A-League club, where Bolt has been training since August. However, Mulvey stated after his side's 1-1 draw with Brisbane Roar that he was not aware of the state of play regarding the Jamaican's future. In fact, Mulvey suggested Bolt would struggle to get into his starting line-up if he were to be signed by the club. "We don't talk about speculation," he told a news conference. "I don't know anything about that. I don't talk about rumours or anything like that; it's for a few pay grades above my level. "I do appreciate how important this story is for the rest of the world, but if you have a look at our front line today you wonder if he could get into any of those positions, wouldn't you?" When asked if there was a plan to resolve Bolt's future, Mulvey replied: "I have a real good plan, and that is: we're going to go home, the lads will have a nice bath, we'll have some dinner and have a little look at the game this evening, Perth [Glory] and Western Sydney [Wanderers], then we're going to get on a plane tomorrow and go home to Central Coast and start preparing for Melbourne City next week."